The IRS has officially started accepting 2016 tax returns for processing. More than 180 million tax returns will be processed this year, many of them prepared by tax practitioners. The practice of accountants and tax preparers is one of the most heavily regulated and ethical professions. Moreover, we firmly believe the vast majority of tax preparers are reputable, competent and trustworthy individuals. Despite the ethical and regulatory frameworks, there are tax preparers that do not follow even the core principles of the profession. Therefore, the Internal Revenue Service advises taxpayers to apply scrutiny and choose wisely. Based on the IRS recommendations and our perception of good business practices, we have selected the top 10 tips on choosing a legitimate tax professional. The Internal Revenue Service has recently released Rev. Proc. 2016-55 which is setting forth the cost-of-living adjustments in effect for 2017 tax year. We have compiled the most common individual income tax provisions and contrasted them to the 2016 limits enumerated in Rev. Proc. 2015-53. 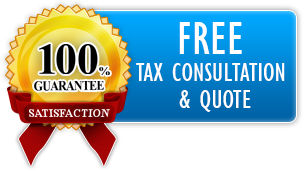 WILMINGTON, DE: Taxtake is an international tax consultancy firm, addressing U.S. cross-border taxation and transactional matters in detail. We are happy to announce that our website www.taxtake.com has been awarded Best in Class by the Interactive Media Awards. The honor recognizes that the project met and surpassed the standards of excellence that comprise the web's most professional work. The site was honored specifically for excellence in the Financial Services category. This tax guide aims to supplement and enhance your understanding of the Philippine income tax system by providing current insights and practical information. We covered the core rules expats should consider when it comes to residency, income and tax withholding. We have also stressed the importance of on-time tax planning for American expats in the Philippines. On December 22nd, 2017, The President signed the Tax Cuts and Jobs Act of 2017 (Pub. Law 115-97). The long-awaited attempt to reform the broken tax code is a fact. Though not exactly “far bigger than anyone imagines", the tax code changes affect us all. This article highlights all individual tax reform provisions, with an emphasis on U.S. expats and international taxpayers.